Unravelling the secrets of HEINEKEN’s recent employer branding success and tips to help you position your company as an employer of choice, we have summarised the highlights from our recent live chat. Read on to get insider tips for running a successful recruitment campaign and insights into what it’s like to work for HEINEKEN. 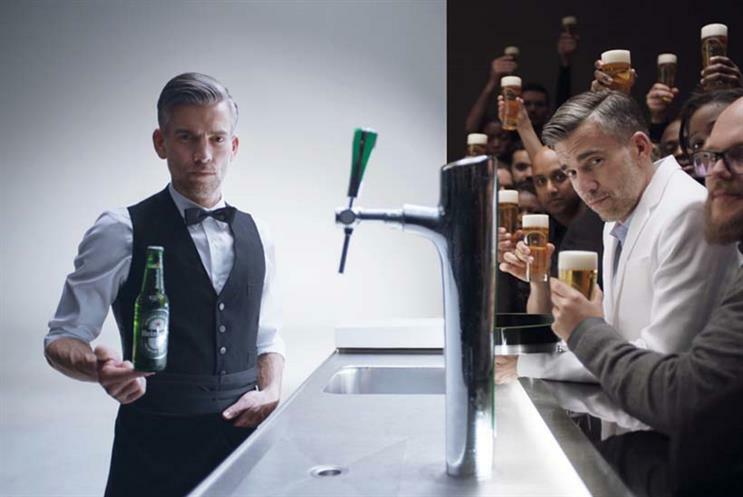 Gianluca, what does employer branding mean for HEINEKEN? GT: Employer branding is important because it enables us to show potential employees a clear sense of who we are as a company, what our culture is, why we’re different and what makes us unique and special. We believe in the power of HEINEKEN as a whole, not as a compilation of isolated pieces. We are proud brewers with a passion for building brands, and that is reflected in our culture and company values. Alfonso, why should brands and agencies care about their employer brand and invest in it? AG: Now more than ever, a strong employer brand is crucial for business sustainability and success. Candidates, consumers and society in general are looking for meaning and for organisations that showcase their true selves. They want to know what is behind the scenes, what is the smell of the place and feel of it, and whether it’s a culture that connects with their set of values and dreams. Engaged employees are happier and display stronger performance and ambassadorship, so we are looking for true pioneers that can find, at HEINEKEN, their place to be. Sandrine, tell us more about your role in building HEINEKEN’s employer branding campaign...What creative strategies were key? SH: The brief was very unusual and we like that! We were asked to help the Heineken company to give a truthful image of itself to candidates, so they would understand that the company offers as diverse and exciting career paths as the P&Gs and Unilevers of this world, but with a company culture that’s quite different from other multinationals out there. We focused on bringing to life both the scale of the company and the values. As HEINEKEN is daring and bold in its communications with its brands, we needed to also find a fresh and innovative way to do so...on LinkedIn. What did you hope to achieve with the employer branding campaign and how did it turn out in reality? GT: We hope that by demonstrating HEINEKEN’s innovative approach to attracting talent we will recruit the brightest and best new faces into the HEINEKEN family. I must say that so far it has gone beyond our expectations. Over 170k interviews of which 67% completed and over 300% more job applications compared to the same period one year ago. What were the key ingredients that made the campaign such a success? GT: This is not a normal advertising campaign or marketing programme. To be successful, first of all you need to find a creative partner that really knows you as a company and is open and willing to co-create the campaign together. Coupled with joining forces with global countries and HR, marketing and creative, to ensure that we get the best out of everyone and develop a campaign that is relevant locally. Secondly, you need to find a creative idea that embodies who you are. Finally, you should always be fully honest to really let people ‘feel’ what makes you special beyond that company name. How do you suggest that SMEs build their brands and engage with candidates across their industry? SH: The brief should be the same for SMEs as for big companies. They should be clear about their company values and the personality of candidates they are seeking so that they attract the type of people who will thrive in that company culture. Then they need to work on finding a creative way to bring it to life. SH: The Interview is an interactive personality test, where a candidate should truthfully answer questions that are important to the HEINEKEN company. A lot for HEINEKEN revolves around the personality of their employees, and they want these personalities to thrive. That’s the main message that had to come across in a way that stands out from all other HR campaigns. This had to be the first time that HR was bringing a really cool campaign, reflecting its values in a way only HEINEKEN can do: ever witty and smart. The idea for the ‘Go Places’ campaign came to us after we read an article about how Freddy Heineken recruited his top talents and the importance he placed on personality. That and Dr Seuss! What made you decide upon the Enneagram model for this interactive personality test? SH: We actually took several personality tests into account for inspiration. But because The Interview is a representation of HEINEKEN culture, rather than a validated test as such, we could not simply use an off-the-shelf personality test. We created a tailor-made questionnaire with the help of the HR team. Gianluca, you recently told us you have a unique working culture - that working for HEINEKEN is more than just a job, it’s not a faceless company. Can you tell us a bit more about what makes HEINEKEN stand out and why it’s such a great place to work? GT: We look at ourselves as pioneers. At HEINEKEN the entrepreneurial spirit is everywhere. It’s one of the things that define us. By joining us, you know that your career will always be largely in your own hands; that you’ll have to make important decisions no matter where you sit in the organization - and you should always be ready to be a bit adventurous if you want to travel the world. How are you connecting with millennials? GT: The ‘how’ is simple - digital is THE medium to do so. The ‘what’ is a bit more complex because the old way of doing advertising is no longer successful with millennials. Strong creativity is always part of the answer but millennials want to be part of an ongoing conversation with brands and not only passively receiving messages. Millennials like brands that have a purpose and are willing to do something good for the world. For the Heineken brand this is all about our positioning - our ‘open your world’ message. We invite our consumers to progress in life by crossing their borders and we challenge them to always open their mind. I personally think the world needs more open-minded people today than ever before. AG: Yes, we are always hiring. As the most international brewer, we are present in many countries across the globe and hiring all kinds of people for marketing, brewing, HR, finance and sales roles. Our business continues to grow and the landscape is more competitive than ever before. We are looking for unique talent to jointly break new ground and continue to build HEINEKEN’s legacy.